Just Show Up: Cedar Rapids, IA: The M.A.C. Most of us can agree that showing up is at least half the battle; if we can get to “it”, we can get through it… Even if the “it” is a booty-kicking, 60-minute XFitt group training session. Just ask member Stacy Shey. 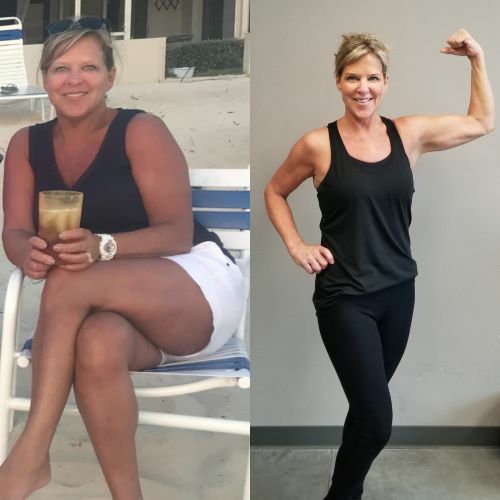 Stacy joined The MAC a number of years ago but has really upped the ante in the last 2 ½ years, so much so that Stacy has the proud new title of “Transformation Challenge Champion”! While Stacy has been gradually losing weight and making improvements to her health for just under a year, she lost a whopping 5% (just shy of 12 lb) body fat during The MAC’s annual Transformation Challenge event. While there are lots of diet and nutrition platforms out there, Stacy kept hers pretty simple. So, what spurred Stacy to get serious about making changes to her fitness and nutrition? Her trainer, Jane Jakobsen, XFitt sessions and MyZone have also been significant factors in Stacy’s success. Stacy, from all of us here at The MAC, CONGRATULATIONS! We are proud that we are able offer so many avenues, so that we can show up for you and each of our members.